I’m a carnivore and happy about it. It was my friend from work and who wanted to give The Loving Hut, a vegan restaurant, a try. I obliged. I had been there about four years prior, right after they first opened. There was some online coupon deal and it seemed worth trying. The food was alright. The decor and service were, well, weird. There were white walls, white floors, white tables, and I remember the servers dressed in white too. I was afraid to touch anything because I thought it may have just been sterilized. It felt like a hospital. There was no one in the place, and the noise level was deathly quiet. Fumes from the tobacco shop next door seeped through the walls. Even as an occasional cigar smoker, I found it nauseating. The servers were wide-eyed, robotic, and soft-spoken. Fast forward to my most recent visit, and the experience was a little bit different. The decor has changed, with a little more color and some pop. The service was friendly and helpful. The food also was a tad more memorable. For this review, I will toss my rather harsh opinion of vegans, the vegan lifestyle, and vegan politics aside. This write-up is about the restaurant, and only the restaurant. 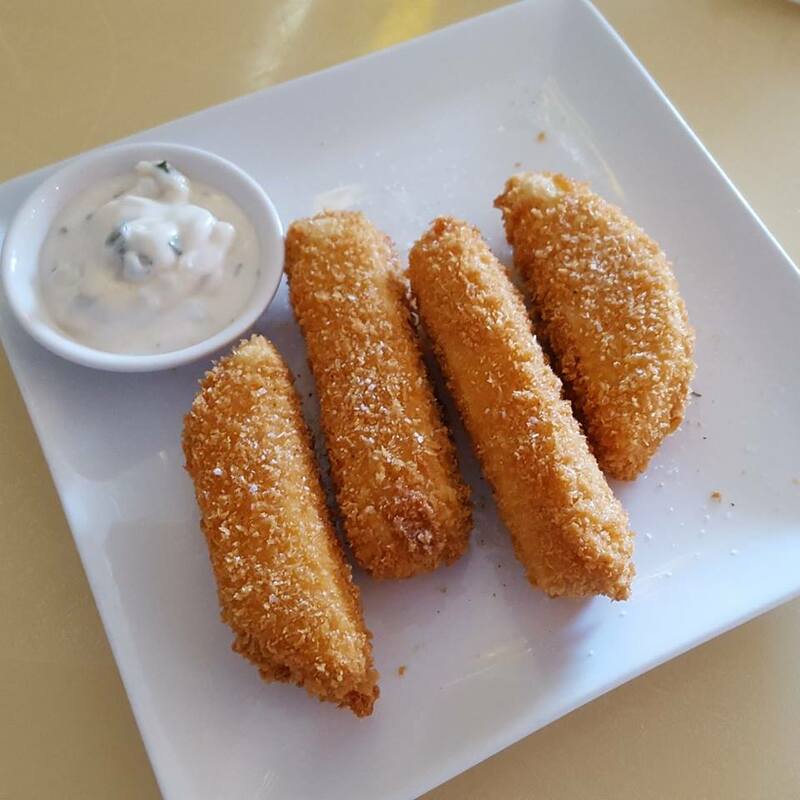 We started with the vegan mozzarella sticks. They came served with a vegan ranch dressing, which actually was the best part of the dish. They were a good size and fried to perfection, but without using the dressing, they tasted how I expect a tempura battered stick of Elmer’s Glue would. 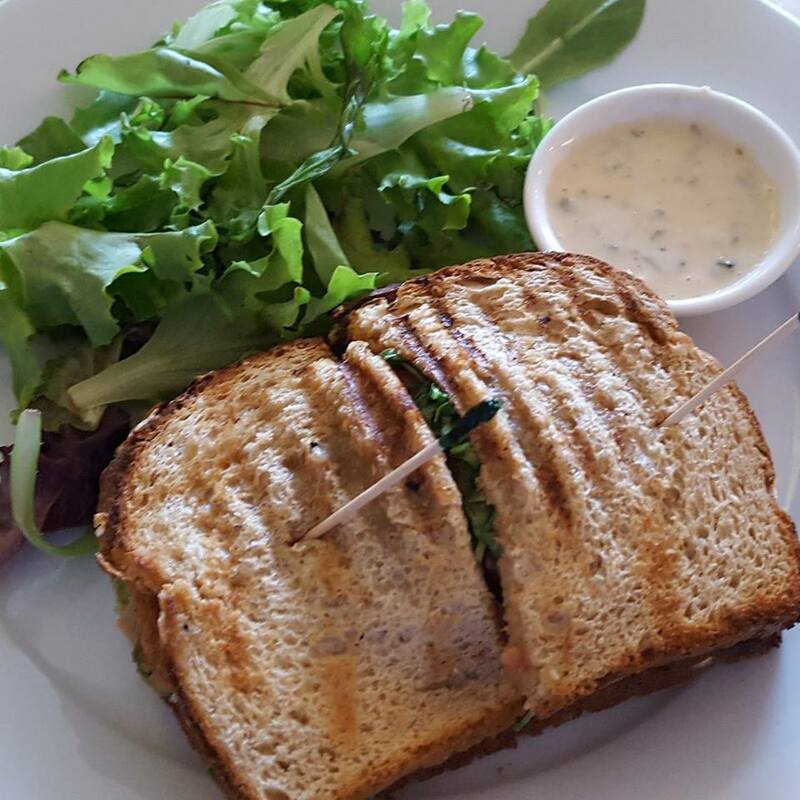 My meal was the Heavenly Grilled Panini, which consisted of a soy patty with grilled onions and mushrooms, lettuce, tomato, avocado, and vegan chipotle mayo. It was reminiscent of a Boca Burger, and wasn’t bad at all. 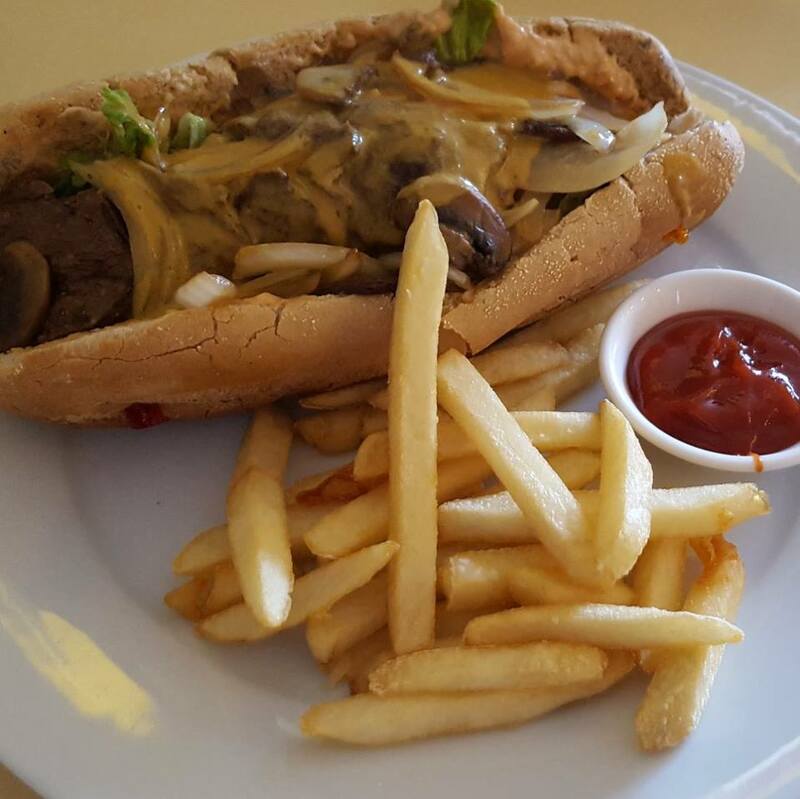 He had the vegan Philly Cheesesteak, which actually looked amazing, like a real cheesesteak. I took a bite and thought the soy product they used in place of the steak was a bit rubbery and slimy, but it actually had good flavor and appeared to have been marinated in a teriyaki sauce. 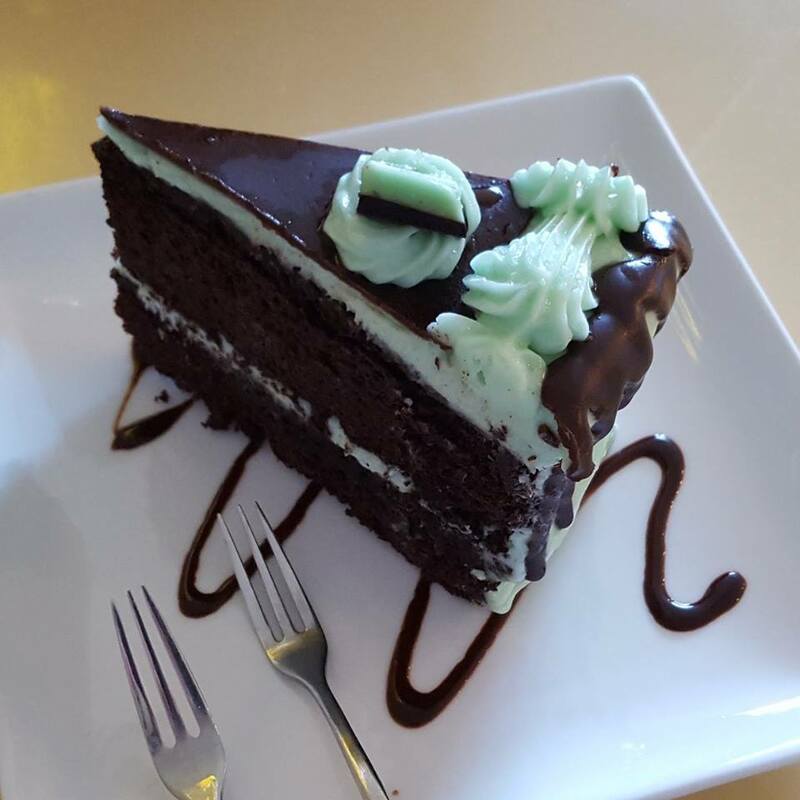 Dessert was a vegan chocolate-mint cake, the best part of the whole meal. So good, in fact, that we grabbed another slice to go. I don’t know what they used in place of the milk, eggs, and butter, but whatever it was, it worked. Prices were not any higher than the going rate for sandwiches in this neck of the woods, and the total bill with all food described was around $40. We opted not to try any of the smoothies since they were a bit expensive, but when you first sit down they bring you over a carafe of water and do not ask or push any of their more pricier drink items on you. The impression I get is that whoever is doing the cooking in the back is quite skilled in their craft. Food was well-seasoned and flavorful, and anything I found to be a negative aspect was due to the animal product replacement item itself and not the actual cooking. I also noticed a fair amount of items meant to mimic meat products on the menu, which I surmise are there for “new converts”, but in my opinion seem a little strange considering the lengths most vegans go through to distance themselves from such food. A Facebook post I made about this on my personal page went awry with angry responses from one vegan (and is cause for another article), where I posed the question as to how people so desiring of ridding the world of animal products can then try to mimic meat flavors with items such as a vegan burger, vegan cheesesteak, vegan BLT, vegan club sandwich, vegan cheese, vegan pizza, etc. Perhaps this review isn’t even the place to bring it up again, but for this reason, the restaurant does suffer from a slight identity crisis. Is it a place for vegans, or a place to win people over to become vegans? The bottom line is this: the food I had was much better than I expected. So much so that I am giving this 3.5 out of 5 stars. The chef knows what he or she is doing, the service was pleasant, and I still chuckle when I think of the waitress nearly grasping her chest in coronary when on the way out I said, “I’m not a vegan, but this was really good”. I will continue to be a carnivore for as long as I live, barring some kind of personal health catastrophe, but I always give credit where credit is due, and they definitely deserve it. This review was previously posted here. The Loving Hut is located at 952 NJ Route 34 in Matawan, New Jersey.